Every time we watch the movie "Big Hero 6" from Disney/Marvel my son asks; "Dad, can we make a fighting robot?" or "Are fighting robots real?" For the most part, I tell him no they are not. Well, at least not in the same context as the robot Hiro uses at the beginning of the movie as he cuts down a larger and more powerful-looking battle bot. However, there is the TV show BattleBots, which pits one robot against another in a combat style robot deathmatch, but the time and effort to make a robot of that scale is not something my seven year old or myself have the time or skill required to assemble such a machine. 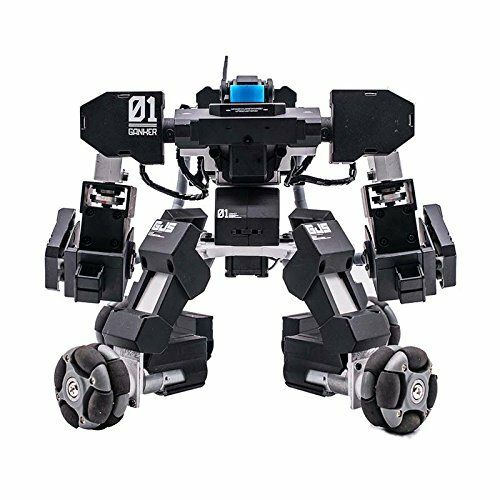 Then, I came across the "GANKER Fighting Robot" which was made available during the summer of 2016 on Indigogo and can now be purchased from various robot-enthusiast sites, such as RobotShop.ca and also on Amazon.com. What is a Ganker Fighting Robot? Well simply put, it is a robot, that fights. What more did you expect? 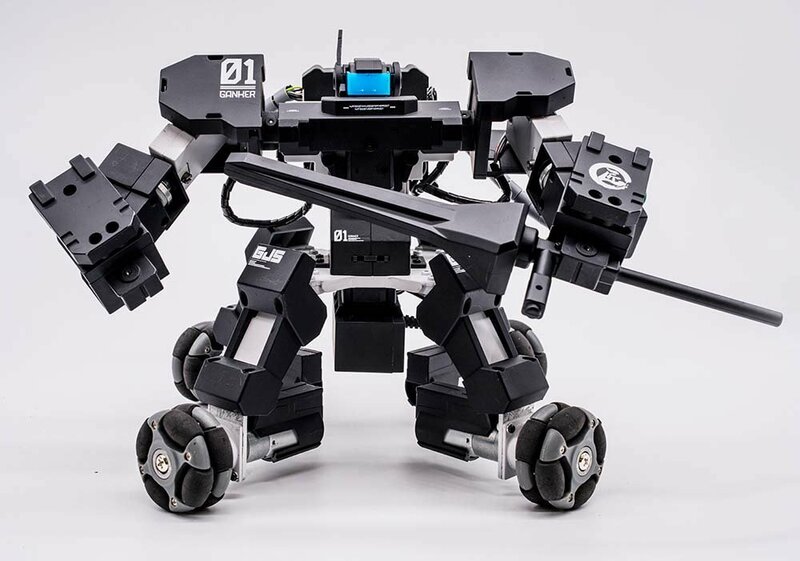 The robot is a small hobby style robot that can go toe-to-toe with other robots and can be customized with different weapons and fighting moves. The robot is controlled, like most things, via a smartphone app. Ideally, you would have two robots otherwise your robot deathmatch will be rather one-sided. When dueling with another robot your damage level is monitored via your robots "blood level". With each strike from your opponent that registers against one of its various sensors, your blood level will decrease. When your blood level reaches zero; game over. 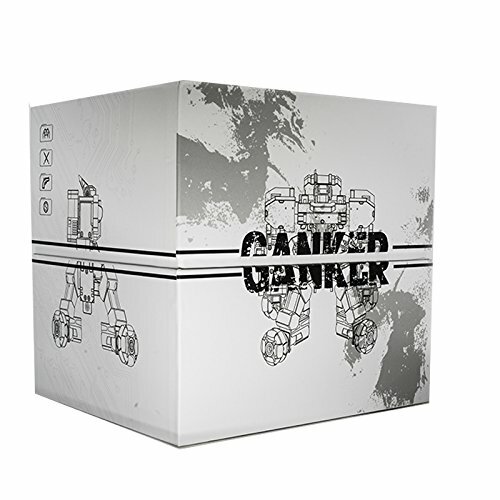 Each robot can be fully customized with various weapons and armor setups and Ganker plans to offer many more upgrades for your mech via its site at http://www.gjs.so. It is still relatively early days for the Ganker mech, but it has potential. A logical next step for this would be to offer an APK and developer mode via their app, allowing users to turn their robot into a truly personal creation. There is a lot of buzz in the robotic space these days thanks to products like Anki's Cozmo and Sphero's offerings among countless others that offer an excellent mix of fun and educational benefits. With some additions to the Ganker ecosystem, I think GJI could be included in that conversation too. 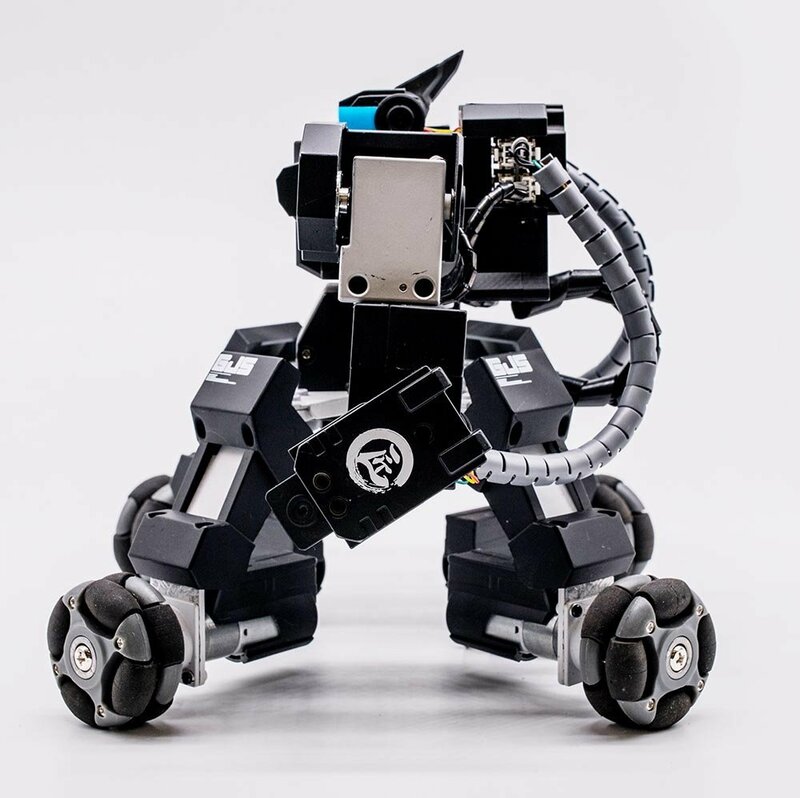 You can learn more about the Ganker Fighting Robot here. Don't forget to check out my review of Anki's Cozmo robot!